Every home faces its own unique security challenge, and a one size fits all solution simply does not work. 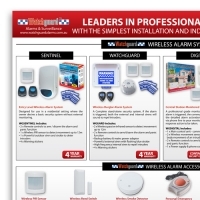 Taking in to account a range of factor’s and working closely with you the customer, we carefully design a home alarm system that will best to suit your requirements and budget. However being on a budget doesn't mean you can’t take advantage of the latest technology. We work closely with a number of suppliers to ensure you are getting the best value for money. By doing this we can offer our clients with quality equipment that wont break the budget, we do not use or recommend sub-standard products because if and when they fail it will be our reputation that will be damaged and not the manufacturers. Enter your details in the request quote form above to find out exactly how affordable it is to have a Home Alarm System protecting your greatest assets!